The drive to sell luxury goods and live the “good life” has blinded Hong Kong to the environmental impact of endless consumption. Hong Kongers produce 6.5 million tonnes of trash every year, more per-capita than any other developed society. 65% of it is dumped into three landfills. This is cheap, commands minimal effort or attention from the public, and requires little infrastructure investment. However, land doesn’t come cheap on the fragrant harbor, and it’s difficult to build on top of or near landfills, which contaminate soil and groundwater, and release greenhouse gases (not to mention a terrible stench). The landfills are near full capacity, and unsurprisingly the public is lukewarm about expanding or creating new ones. New solutions are needed, but what are some of the options? A recent government proposal is to build a trash incinerator on reclaimed land south of Lantau. Incineration involves burning trash at high temperatures and in some cases can be used to generate electricity. Advantages: It effectively manages the volume of trash, reducing it by 90%, while potentially also generating electricity that Hong Kong could use. It is the simplest to implement, requiring no change of behaviour on the part of consumers or business. Disadvantages: Regardless of the filtration system used, burning plastics, which generates the most heat and therefore energy, still releases cancer-causing dioxins. Burning everything else releases carbon dioxide and heavy metals into the atmosphere. Incinerators are expensive to build, and require a steady, sizable stream of waste to maintain oven temperatures for effectiveness. The need for consistent trash input doesn’t leave much room for recycling and composting programs unless quotas are implemented. The remaining ash from incineration still needs to be dumped into landfills. Organic matter, such as landscape or kitchen waste, is a problem when dumped into landfills. 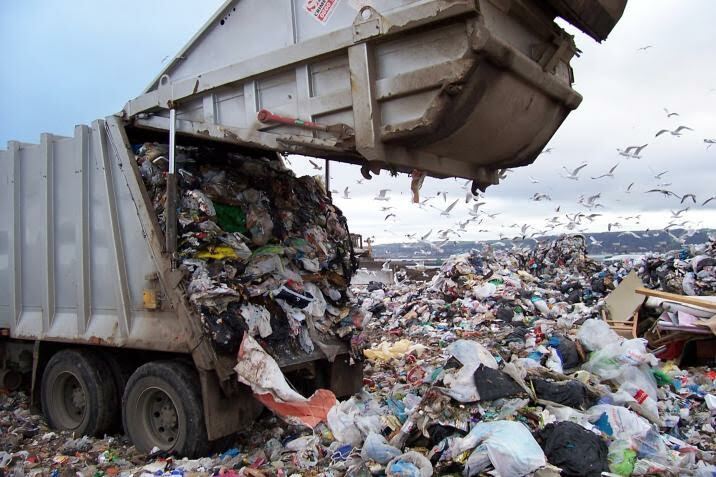 In the anaerobic environment of a landfill, it produces a terrible smell and methane, a potent greenhouse gas. Municipal Solid Waste (MSW) composting solves this by composting or breaking it down aerobically. It can then be used in gardens, parks or farms. Advantages: It eliminates the release of methane and dramatically reduces the noxious smell. Since 40% of all landfill waste consists of food waste, it can have a sizeable impact. Composting reincorporates valuable organic material into the soil. It is the purest form of recycling, mimicking nature’s process. Compost recycles nutrients that can boost agricultural production and reduce the need for chemical fertilisers. Disadvantages: Separating food waste from other household or business waste and collecting it is challenging. The public needs to be educated, and infrastructure and services dedicated to channeling organic waste to composting facilities needs to be provided. High quality compost is difficult to achieve and depends on the level of separation. Plastic, metal, glass and paper can be reprocessed and used to create new products. Recycling is the greenest option for non-organic waste, but it requires commitment from business, the public and government. Advantages: Recycling reduces air, soil and water pollution while at the same time creating green jobs. It reduces the need to mine and extract raw materials from the earth. Electronics contain valuable precious metals that can extracted and resold. It can also positively influence consumer habits and business practices by creating an awareness of the waste problem and instilling a sense of accountability. Disadvantages: It is costly and requires a change in behaviour. To be economically viable, households and businesses must sort materials themselves. Reprocessing some materials can be complex and not particularly cost-effective. The city would need to invest in infrastructure, such as trucks, bins, processing facilities, as well as educating the public on what can and cannot be recycled. 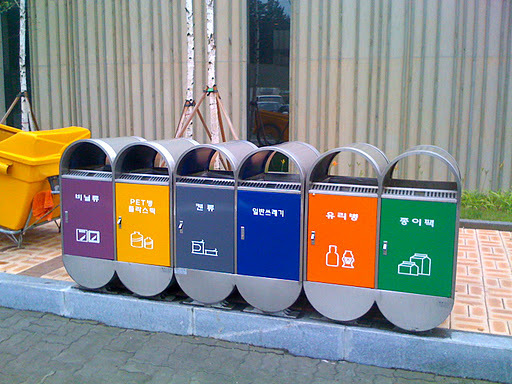 Numerous cities and countries among them Japan, Korea, Taiwan and Germany, have implemented highly successful recycling and composting schemes that have dramatically reduced waste. Hong Kong bureaucrats however favour incineration and expanding landfills for their simplicity and business as usual approach. Businesses, which have a disproportionately large influence on policy-making in Hong Kong, are opposed to recycling and composting due to the additional costs and responsibilities it would place on them. Surveys however show that the majority of the public is in favour of it. Japan’s experience has shown that while the environmentally friendlier process of sorting and recycling may be more expensive than dumping, it is comparable in cost to incineration. Taiwan’s experience has shown that recycling can create a viable new green industry capable of generating revenues US 2.2 billion annually. Germany, by recycling 62% of its waste, is reducing greenhouse gas emissions by 18 million tonnes. Hong Kongers need to be more aware and proactive in their individual responsibility for a greener waste system to work. The most effective method of reducing waste is to reduce consumption. Excessive consumption is one of the primary causes of our waste problem. Think twice before you buy. And not all trash goes into the nearest bin. While limited, there are some recycling bins around if you look. Without individual effort Hong Kong will not be readying itself for the sustainable future, but instead stuck choking on its own trash. By Kristian Johnson. A graduate of Johns Hopkins University, Kristian is preparing for a career in agriculture and forestry. He is currently undertaking an internship at Wildroots Organic Farm. His goal is to help conserve forests through sustainable farming practices. Great article! It is time for Hong Kongers to shed their shortsighted view and start taking care of our homeland.